Over 50,000 convention-goers will descend on Philadelphia in just over 26 days, and all will require housing. One of the greatest challenges of any party convention is securing housing -- where you stay is critical to your convention experience. Part of the agreement between the party and the convention city is party control over 94 of the city's major hotels and approximately 15,200 rooms. Housing allocations for these hotels are tightly controlled and allocated to the official participants and party constituents, including party and elected officials, delegates, donors, allied organizations, labor and the media. The largest block of 26 hotels was allocated to the fifty-seven state delegations, which use their hotels as homebase for breakfasts, receptions and press conferences. 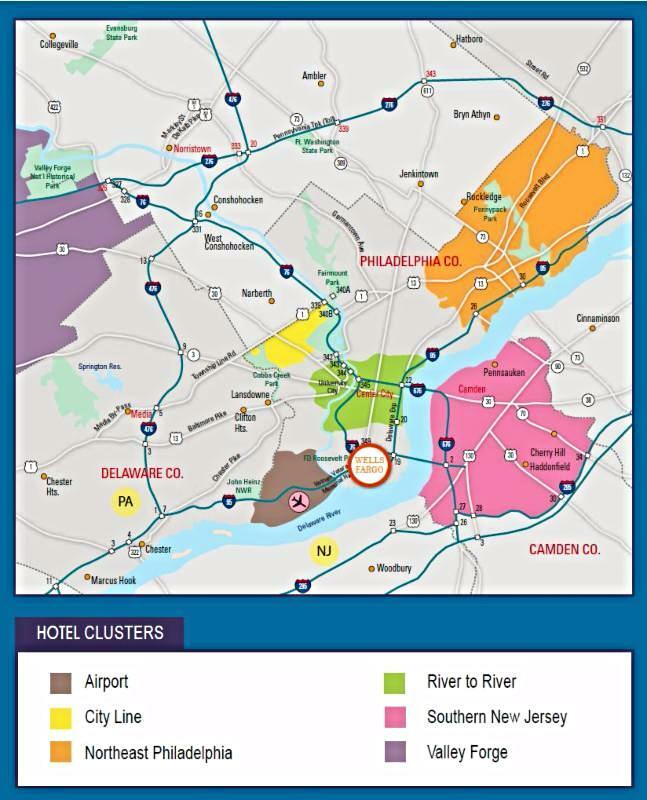 Fifty-seven state delegations were assigned to 26 hotels in Philadelphia and Valley Forge. More details to come on housing resources and logistics for official and unofficial convention attendees. Follow our Dailys for convention news, and post your events to the DemList Convention Calendar! As always, a free resource to all.